Well, this weekly review catch-up hasn’t gone as expected. But I guess it’ll remain 100-word reviews until my backlog is reduced. 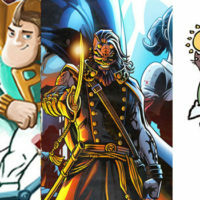 Ed Kuehnel and Matthew Entin’s series is that classic comic book fusion of ridiculous idea and solid execution. 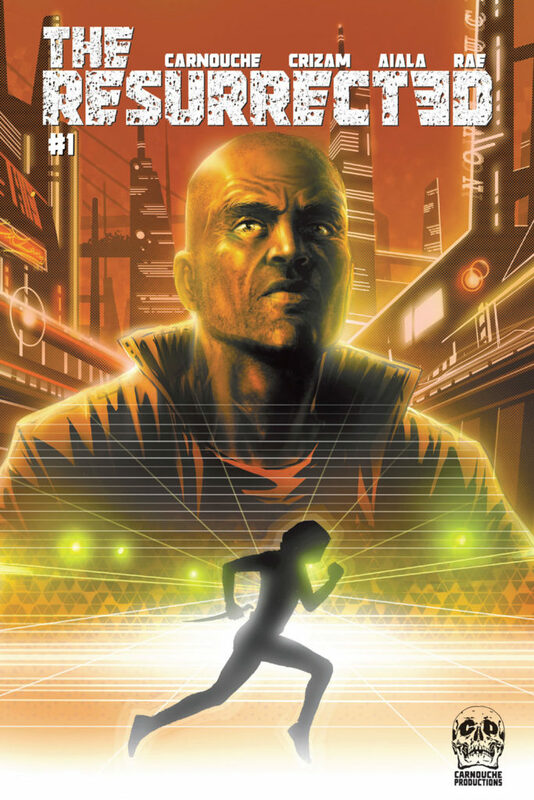 The first issue sets up the premise with character and charm, following luckless wrestler “Rock ‘N’ Roll” Rory Landell, who in developing his wrestling persona’s fluff naively declares himself the “galactic champion of the universe”. Unfortunately, this doesn’t go unnoticed with the planet Wrestletopia’s offical champion of the universe, instigating a hilarious excuse for an alien invasion. 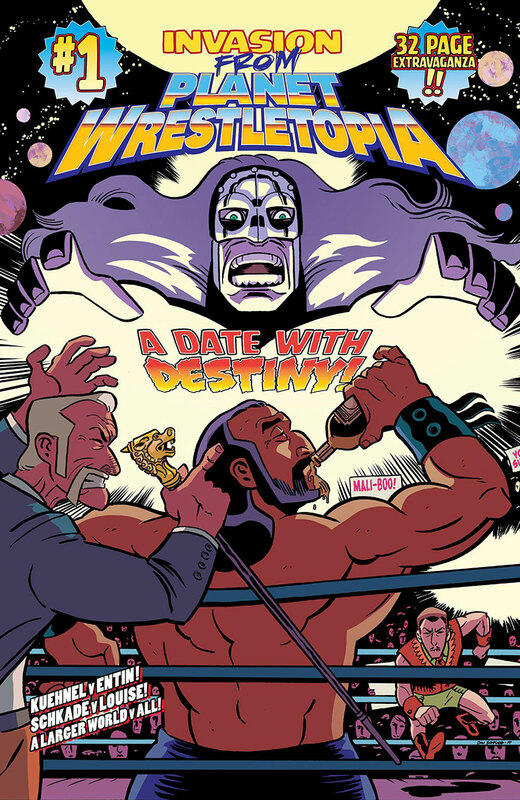 Invasion from Planet Wrestletopia is silly but it knows it, and the writing is far sharper than you’d expect, brought to life by Dan Schkade and Marissa Louise’s dynamic yet affectionate art and memorable character designs. 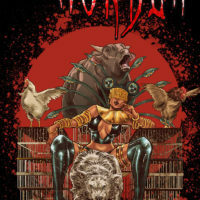 Available from comiXology. I’ve been meaning to mention Andrew Pawley’s psychedelic space oddity for years, but something always gets in the way. 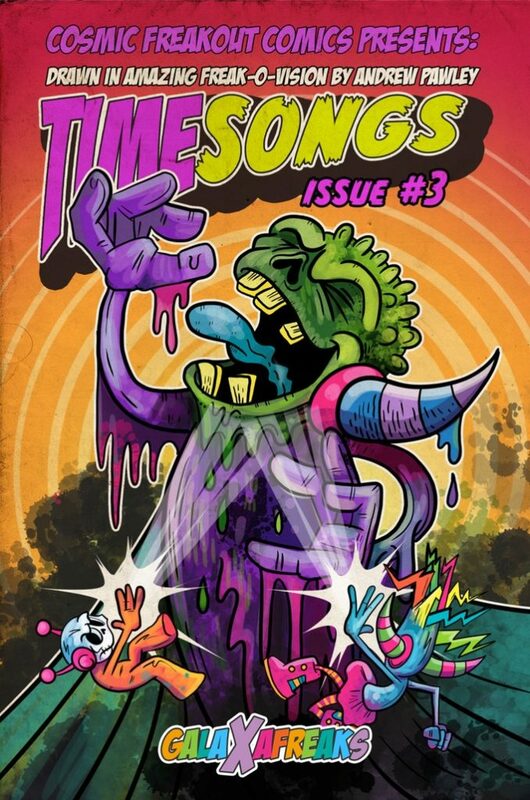 Time Songs is the latest 3-part miniseries from his GalaXafreaks universe, set within the head of a galactic baby “no bigger than a Higgs Boson particle”. Pawley’s art is eye-meltingly colourful, a lucid evolution of John Buscema era Silver Surfer, and it’s all-ages in the truest sense; it’s an astrophysicist’s acid trip for the adults, while younger readers will simply enjoy a fun caper in which Captain Yeah! investigates the disappearance of an intergalactic rock star. 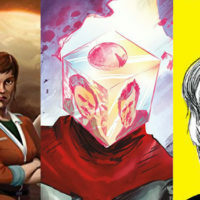 Available from www.galaxafreaks.com, which has some great digital/print bundles for the uninitiated. This intriguing 5-part series from Australian creator Christian Carnouche hits the tracks running, using the persecution of Aboriginal-Australians by the British Empire as the allegorical framework for a near-future in which death is no longer permanent. Cain Duluth is a unique and fascinating protagonist; a solemn policeman of aboriginal descent whose wife and child died in an explosion at a nanotechnology manufacturer that decimated 99% of Australia, and doesn’t abide the usual genre clichés. Crizam Zamora and Salvatore Aiala depict Nova Lucis, a fictional New York island, as both high-tech and eerily hollow. 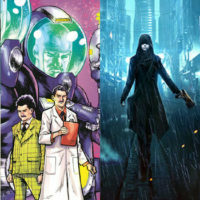 Delve deeper into the series at carnoucheproductions.com, and join the mailing list for an 8-page preview. 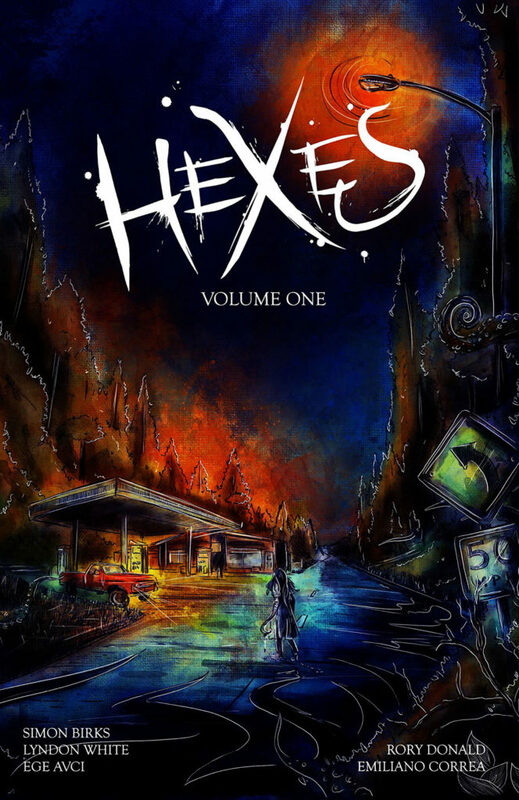 Simon Birk’s four horror shorts get the TPB treatment, and Hexes has more than enough chills for fans of good ol’ fashioned Tales from the Crypt inspired stories with a sting in their tail. 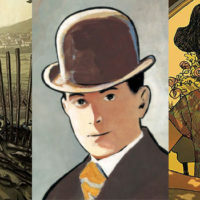 My personal two highlights are ‘The Boy Who Came Closer’ (art by Ege Avci), in which a man comes to finally comprehend a disturbing childhood encounter with a stranger in the woods; and ‘101’ (art by Rory Donald), in which a man with unclear motives seeks shelter at a ominously empty nursing home only to discover that its 101 year-old resident is far more wily than she initially appears. Hexes was successfully funded on Kickstarter last December, and is now available on comiXology. 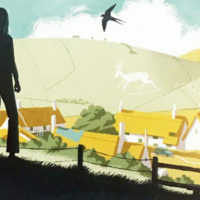 In a medium that is far too reliant on nostalgia, Monty Nero’s superb Hollow Monsters examines the deception of memory and the horrors that lurk just out of sight and mind. Mixing the semi-autobiographical with Lynchian surrealism, the ethereal first issue flicks between the eighties and the present with breathtaking assurance. 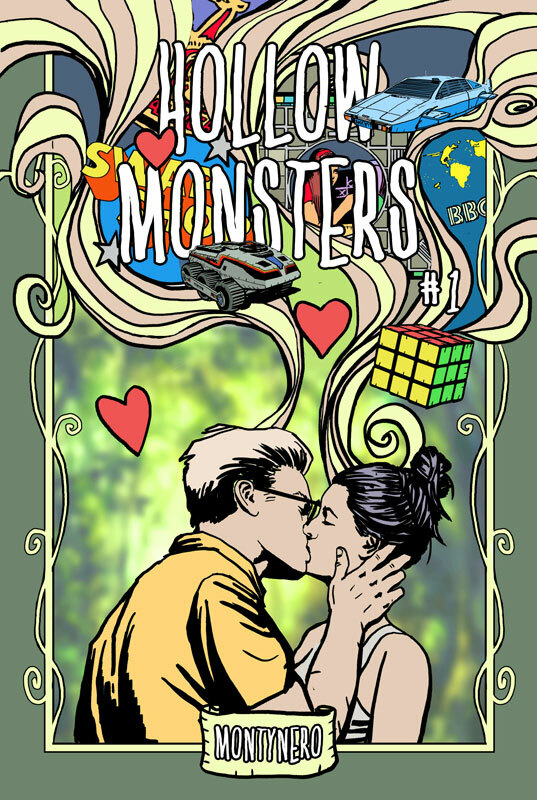 I finished the first issue of Hollow Monsters with no greater idea of what the series is about, but if the Nero delivers on the first issue’s setup then he may very well fulfil his aim to “move the graphic novel into new territory” and deliver a genuine masterpiece. 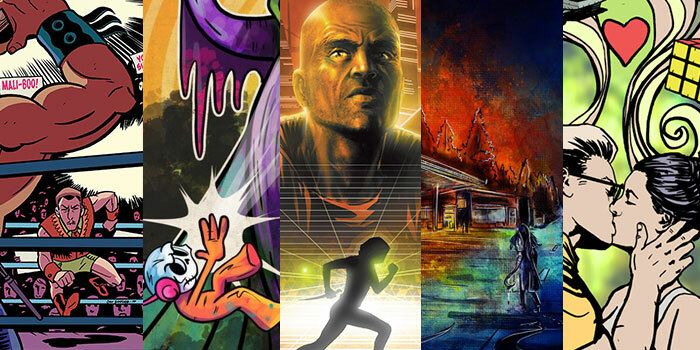 Issue #1 (of 6) is available now, with #2 currently doing rather well on Kickstarter.